Let's set apart all pros/cons of chains vs belts, like: ease of maintenance, need of a custom frame, cost, spare part availability, all of that: nope. This question is very focusing only on performance. 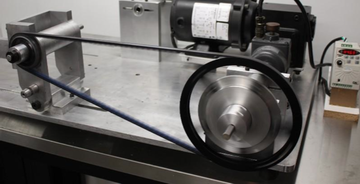 a conventional chain drive consumes 2.92 watts on average, while the belt eats up 3.93 watts. Although the difference is just 1 watt – not enough for most people to care – this works out as a substantial 34.6 percent. That data does have some caveats, though. While the chain drive was tensioned to a typical 2lb, Gates recommends a much higher preload tension of 85lb in order to prevent slippage under load. So, overall it is to be expected that the old chain is going to be more efficient, according to that. But let's not forget that the belt drive system, though less efficient, is also way lighter! 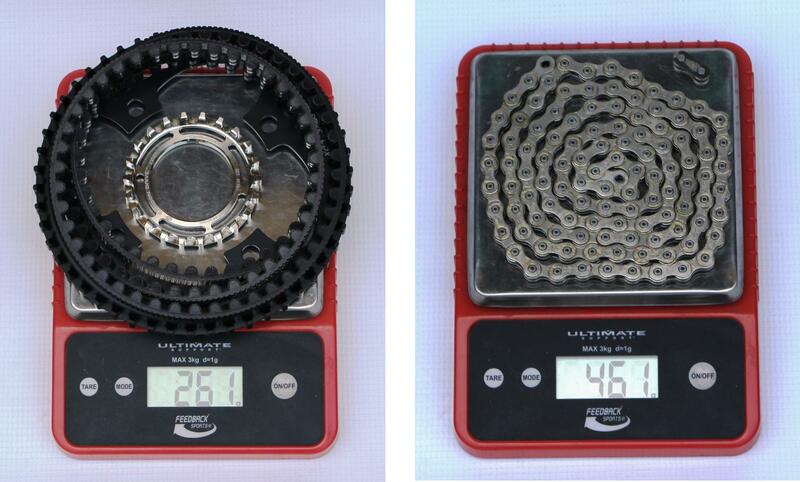 In fact, to this article shows how "the entire belt drive system consisting of a belt and front and rear sprockets weighs nearly half of a standard chain", which is a massive improvement in weight. So in short: Would the weight gain compensate for the performance loss? First things first: A belt is probably slightly less efficient than a properly installed clean chain. The test you link already indicates that. Probably with the tension Gates requires you'll loose a bit more power. The chain is 200 grams heavier than the belt, of course with the chain you get gears, which you don't get with a belt unless you also install an internally geared hub, which changes the weight of the entire drivetrain heavily the other way, but lets disregard that for now. You loose 200 grams, and you loose 1 watt. From how big a pool do you take that watt? Just to grab something, take a number from here for a cyclist doing a timetrial of 10 miles in 30 minutes: 157 watt. So this means 1 watt is a loss of about 0.66% for a reasonably fit recreational cyclist. Given that a reasonably fit recreational cyclist weighs about 80kgs, has a bike of 10kgs, and is carrying 3kg of clothing, gear and filled waterbottles, the 200grams (0.2kg) you save translates to about 0.22% weight loss. So we can already conclude that the weight gain would never compensate for the efficiency loss. However, when going at any sort of speed, weight is not the factor holding you back, air resistance is. So unless you only bike up the steepest parts of HC climbs in your riding the reality is that the weight loss from a belt drive will never compensate for the efficiency loss. As a year-round bicycle commuter I can tell you that without a doubt a belt-drive combined with an internally geared hub is way more efficient with my time than a chain could ever be. I loose maybe a few seconds over my 15km (one way) commute (if that) but I gain hours by only having to hose my bike down every other week rather than cleaning and re-oiling my entire drivetrain every few days. Not the answer you're looking for? Browse other questions tagged chain drivetrain weight performance belt-drive or ask your own question. Chain guard for a belt-drive bike?